Patty’s heart was to be a mom since she was a small child. That dream came true in 1976 when their first son was born, and then again when two more sons followed behind him. She worked hard at managing her home and her 3 sons, eventually homeschooling the younger two, while managing the bookkeeping and payroll for Everett Gray & Sons Construction, Inc. She never dreamed that she would be the managing officer of a small business until 2003 when she was called upon to take off her domestic hat of 28 years and jump in with both feet to manage their DreamMaker franchise. It was evident early on that her administration skills that she had honed as a homemaker, her leadership skills that she had developed since childhood, and her love for people and hospitality would be just what she needed to lead a local and national award winning franchise company. Everett, an accomplished carpenter and contractor, has been in the business of residential remodeling and construction since 1972 and has four years of architectural drawing to enhance his training. 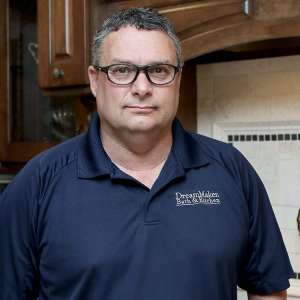 When the opportunity of establishing a kitchen and bath design/build company in Bakersfield came along, he was thrilled to take his company to the next level and focus on the two most challenging rooms of the home. 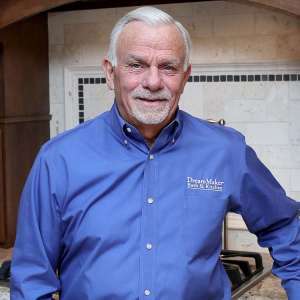 His 40 years of experience in construction, understanding of architectural drawing, and creative eye for design has been the foundation of DreamMaker. His clients, fellow team members, and trade partners enjoy Everett’s wit and personal touch as he interacts with them throughout the process. Everett, a native of Virginia, and Patty, a native of Kern County, have been married since 1975 and raised three sons. Everett’s greatest joy came from raising his sons, coaching all three in Little League, and taking them on many camping, fishing, and water skiing trips. He now enjoys making many more memories with his grandchildren. Jieun Bae adds another dimension to the DreamMaker team and would be considered a rising star in the kitchen/bath design build industry. Her story starts out in her birthplace of Anseong, Korea. As a daughter of a painter and then later farmers, she learned hard work from a very young age by working alongside of her parents. Her parents also made sure that Jieun was well educated by sending her to private school to ensure that she was ready for a university education. At Konkuk University in Seoul, Korea she majored in Japanese education and earned her 4-year degree. She then left her country to become an exchange student in Japan to further study Japanese literature at Toyo University in Tokyo. It was there that she learned English and decided to work towards being a translator and interpreter of three languages, Korean, Japanese, and English. 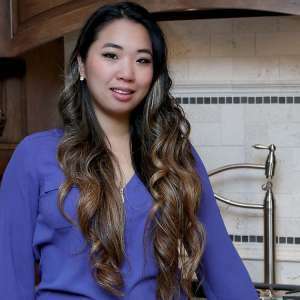 This brought her to the USA to improve her English but immediately she found herself working in the home improvement industry where she instantly fell in love as she was submerged into residential construction and design specializing in kitchen and bath. She found that her God-given personality and creativity fit like a glove with the remodeling industry and she was hooked! When Jieun moved to Bakersfield, she was drawn to DreamMaker Bath & Kitchen after going through their website and reading The Code of Values. The minute she stepped into the design center and met the team for the first time, she knew she belonged at DreamMaker Bath & Kitchen. Everett and Patty would agree! “Jieun is passionate about her work, extremely sharp and quick to learn, creative, organized, and enjoys meeting new people. She makes our client’s feel at home and is very interested in them as individuals. It is our absolute pleasure to include her as part of our team!” says Patty. Michelle enjoys working for a growing and dynamic company such as DreamMaker Bath & Kitchen. She has worked with Everett and Patty for many years in an administrative position while utilizing her Associates Degree in Office Procedures. Her responsibilities include accounts receivable and accounts payable, payroll, human resources, and purchasing. Michelle is referred to as a “cup bearer” by the owner, Patty and is appreciated by her entire team for being approachable and extremely helpful to each one of them. She enjoys being a team player and always makes herself available to whatever need they may have. Michelle Sweaney loves “having fun in the process” and believes in “counting her blessings every day and in every way”. Stevie was born and raised on the Central Coast of California and graduated from Pacific Beach High School. 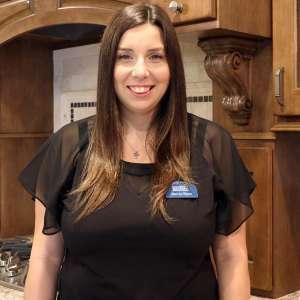 In 2011 she started working in the home improvement industry and found that she had a passion for working with home owners and talking with them about their home improvement projects. She learned kitchen and bath design according to NKBA standards. She later moved to Portland, Oregon where she designed projects for very old homes which presented new challenges and learning experiences with every project. Her growth in the industry grew exponentially. 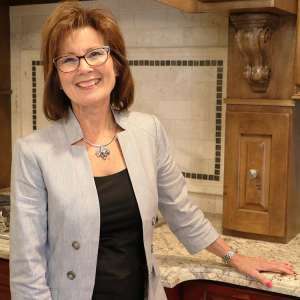 She loved seeing her client’s houses being turned into their dream homes as she designed their kitchens and helped them make choices in appliances and flooring. Stevie became a top salesperson and designer for one of the largest cabinet companies in the country, she truly found her passion. 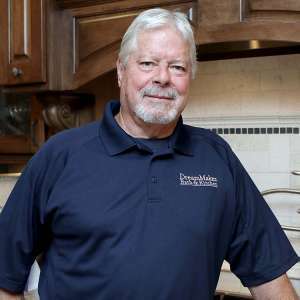 Tommy Moody has been a loyal employee with DreamMaker Bath & Kitchen since 2004 utilizing his strengths in production management, electrical, plumbing, and carpentry – both finish and rough. Prior to his position with DreamMaker, he was an Operations Director for a local school district managing all maintenance. Every day for Tommy is a good day no matter what circumstances come his way. His teammates describe Tommy as humble and both his teammates and his clients respect him for his consistent calm demeanor. Harold Workman, “Mr. Magic”, has been utilizing his talents in the remodeling industry for 40+ years. His experience includes building new homes as a licensed general contractor, a cabinet builder, painter, plumber, electrician, framer, and a fine finish carpenter, none better that Kern County has to offer. He is admired by his team mates and by his clientele for his years of experience, cool demeanor, patience, work ethic, and meticulous craftsmanship. 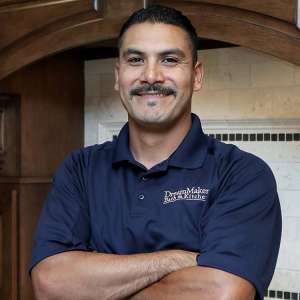 Miguel has over 14 years of experience as a carpenter in the building industry. Before moving back to Bakersfield, he worked for high-end and well-respected companies in Monterey Bay, Carmel Valley, and Pebble Beach areas. Particularly, in Pebble Beach he had the opportunity to master his finish carpentry skills; setting cabinets and doing precision trim work in multi-million-dollar custom homes. Miguel is also adept at plumbing and electrical work, truly a multi-trade craftsman.